I read this article and found it very interesting, thought it might be something for you. 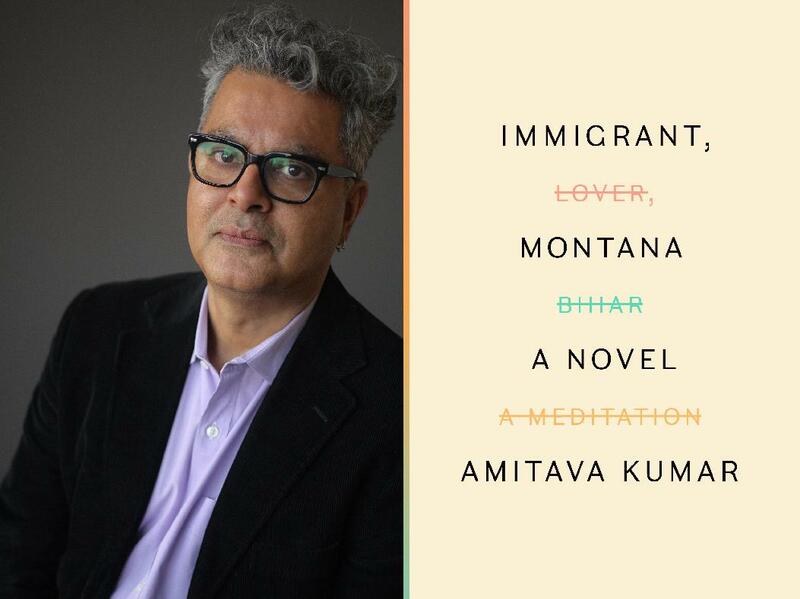 The article is called Book Review: Immigrant, Montana – Amitava Kumar and is located at https://www.totallydublin.ie/more/print/book-review-immigrant-montana-amitava-kumar/. Amitava Kumar’s Immigrant Montana documents the sentimental education of Kailash, a graduate student in New York City recently arrived from a small town in India called Bihar. Ostensibly a Bildungsroman, Kumar’s approach is nevertheless subtly radical, blending the perspectival discipline of in-vogue ‘autofiction’ with the unruliness of the sprawling postmodern novel. It flits from candid vignette on its protagonist’s sexual larks to disquisition on colonial history, giving the narrative a charmingly peripatetic feel as it pinballs across time and place and interleaves text and image in the style of its dedicatee, Teju Cole. For Kumar, desire and sexuality ground us in our common humanity; their frequent absence in immigrant narratives is yet more evidence of how those represented in them are so easily othered. While likely rooted in a fidelity to realistic portrayal — Kailash is, after all, a young man newly arrived in a modern, heavily marketized, even pornographied United States — his accounts can at times read like prurient boasts, something which might risk sullying, at least for some readers, Kumar’s point. Yet human beings are flawed, and so spurious ennoblement, whatever its intention, can only dehumanize. Philip Roth – to whom the novel gestures – is an obvious influence in this regard. On that note, Immigrant, Montana is itself not without flaw. Often, Kailash too closely resembles a precocious graduate student, apt to namedrop, and delighted by his own, seemingly boundless, erudition. It’s hard not to associate his intellectual showboating – the references to Roland Barthes, Edward Said, Antonio Gramsci, and Kailash’s fictional mentor, Ehsaan Ali, who is based on the Pakistani-born academic, anti-imperialist, Eqbal Ahmad – with how he documents his sexual exploits, even if Kumar’s framing and Kailash’s self-conscious reflections go some way in contextualizing his bravado. Indeed, Kumar has a tendency, not unlike his narrator, to glaringly signpost his own influences rather than letting them percolate more subtly through the text. Another issue is Kumar’s deployment of irony and humour. The grandiose courtroom asides in which Kailash addresses a hypothetical judge, while an interesting conceit, can feel flat, rarely achieving the high ironic levity to which they aspire. Similarly, some of Kumar’s attempts at aphorism: ‘life comes at you in images’, or ‘in such fleeting connections are destinies shaped’, are at best shallow poeticisms, and at worst empty bromides. That said, Kumar’s novel is a rich, allusive exploration of immigration and selfhood. Yet, as its tapestry of influences and reference points suggests, it is less original, and perhaps more derivative, than it purports to be.